No internet connection or DVD player? No problem! The Video Training Book is a portable training format that allows you to leverage J. J. Keller training video content anytime, anywhere. It is ideal for training one employee at a time. No internet connection or classroom needed. Now more than ever, news headlines report rampant, high-profile sexual harassment allegations almost daily. While employers are responsible for creating a safe work environment, for some there's a clear misunderstanding of what "safe" actually means. Help all employees address unwanted (including unlawful) sexual harassment in the workplace with this training program. Five states (Connecticut, Maine, New York, California and Delaware) have sexual harassment training requirements. 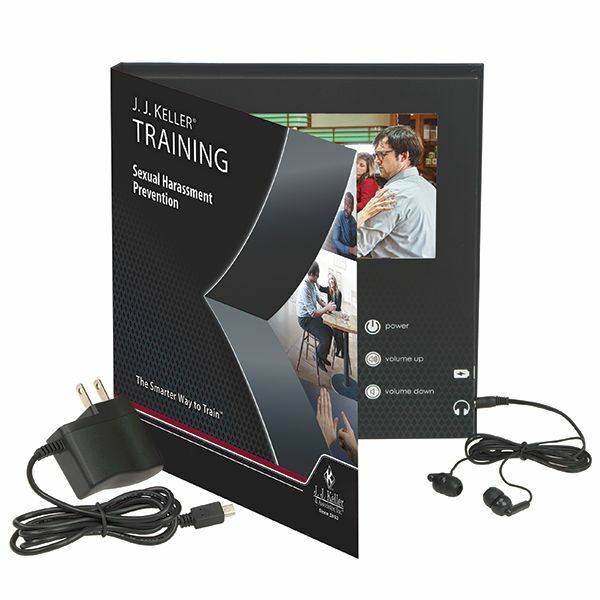 This program can easily be customized to meet these state requirements using the additional information provided on the Trainer Tools USB.